Driving in busy areas can be relatively challenging. It presents a variety of challenges for drivers who are not used to operating a car in busy streets. This kind of experience can be a bit frustrating. However, wherever you are, you should always be responsible for your driving behaviors. 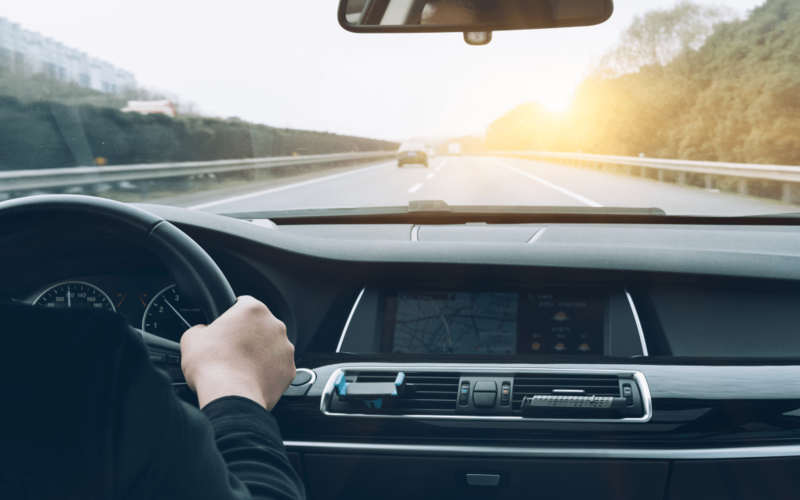 Keep in mind, the thought of getting into a car accident is very frightening, which is why you should try to be more careful with your actions while you’re navigating busy roadways. It’s always essential to know and understand how driving in busy areas work. For instance, you should be mindful that while you’re cautious about your driving, it may not be true for other motorists around your vehicle. That’s why try to understand your surroundings and consider the vast possibility of encountering bumper-to-bumper traffic on the road. If you’re unfamiliar with driving in crowded areas, it’s important to stay off of busy roads during rush hour except when it is necessary. You should take note that traffic during peak hours doesn’t only consume too much of your time, but it would also increase your chances of getting involved in a car accident. Also, the traffic will also cause more frustration; thereby the possibility of road rage is high among drivers who experience all of these situations from time to time. When you’re maneuvering your car in crowded roadways, you should always think of safety as your main priority. However, you can’t always guarantee your safety when there are still reckless drivers around you. That’s why whenever you’re driving on a busy downtown avenue, you should always stay on the right lane. By doing this, you’d be able to reduce your risks of accidents. One way of staying a good driver when in busy areas is to watch out for crosswalks for the pedestrians. Bear in mind that crosswalks are numerous when you’re in crowded places. Also, you should always respect the pedestrian’s rights of way. To help prevent pedestrian accidents in busy areas, you can click here to gain more knowledge on the legal implications of this subject. You can’t avoid taxis when driving in busy areas like in large cities. Because of the desire to be of service to someone looking for a cab, taxis usually make a sudden turn to the boundaries of the roadway. That’s why it’s wise to always keep a safe distance from them. You should also be wary of those passengers who enter and exit taxicabs on the side of the road. Wherever you are, you might come across a significant number of bicyclists on the roadways. For some, bicycles are used by residents as their mode of transportation. In all circumstances, cyclists are expected to follow traffic laws, but some do not. That’s why you should always keep an eye on them. While some cities provide specific lanes for bicycles, it should be your responsibility not to steer your car into the said lanes without a good reason. Being a reasonable and responsible driver doesn’t stop from knowing the basics of driving. It should also extend to some essential behaviors such as observing the traffic at all times. However, there are situations when pedestrians attempt to cross over the road even if the “don’t walk signal” has been displayed already. When you’ve been confronted with these conditions, try to be cautious by looking both ways before going even with a green light. Busy areas like what is commonly found in urban roadways are also known for having parallel parked cars on the side. To stay a good driver in crowded streets, you should take precautions in avoiding those who are entering and exiting their vehicles parked in parallel areas. Driving in busy cities can be so stressful that it might cause road rage. When you face this kind of situation, you must take your time, stay focused and request assistance from a passenger as your navigator. If you’re planning to drive in cities and downtowns, it’s best to check whether the city you’re traveling has the worst traffic or not. That way, you’d be able to know what to do to ensure safe driving. Remember, routing metropolitan roadways requires the ability to remain aware and focused on driving. If you’ve had minor injuries, seek immediate medical assistance or call an emergency ambulance. The doctor will give their medical assessment, which might be required when you’re filing a lawsuit claim. Don’t leave the scene. Take note, leaving the scene might have legal implications such as payment of excessive fines and other penalties. Call the police immediately. They’ll respond to the scene to check and make a police investigation. Refrain from getting into an argument with the other driver. All you need to do is exchange personal information with them such their names, addresses and contact information. If applicable, get the names and phone numbers of the credible witnesses. Notify your insurance company of your claims. Once you have reported the accident, they will ask you to comply with paperwork so they can process your insurance claims as quickly as possible. Accident risk is high when driving in busy places. While crashes can be avoided, keeping the above-listed tips in mind can help you ensure your safety on the road. But when things go wrong and you’ve encountered an unexpected car accident, speaking with a licensed attorney can assist you in understanding the legal aspects of the matter.